West Edmonton Hyundai offers one of the largest inventories of Hyundai parts and accessories in Edmonton, Spruce Grove, St. Albert, Sherwood Park and beyond, and our experienced staff can help you locate hard-to-find Hyundai car parts, components, products and performance accessories. Virtually all new Hyundai parts carry a 1-year unlimited-mileage warranty for your peace of mind. Visit our parts department located at 10120-178 St., contact us online or by phone at (587) 760-0560, or use our convenient form to order your needed parts. 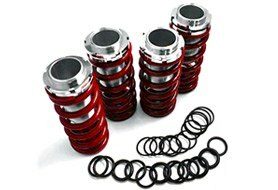 Check our site often for current specials on auto parts and accessories! Want to personalize your vehicle? Increase its performance? 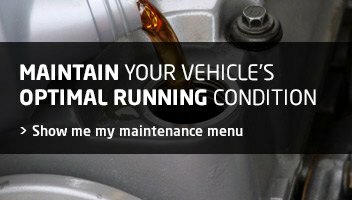 Improve fuel economy? Our parts department is the place to go! Our professionals have on hand, or will work to find, your needed Hyundai part. In our well-stocked Hyundai tire centre in Edmonton, we supply tires of all sizes and from all the major brands as well - over 40 in all! A Parts Department expert will determine exactly what you need. Then we will respond to you promptly via your preferred contact method, ask any additional questions required to identify your parts request, and confirm your order and pricing. For maximum convenience, you can place an order for your needed parts, components, accessories and products directly online. We'll confirm your order without delay! 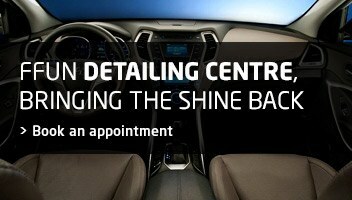 Call on the specialists in our detailing centre to carry out expert esthetic and detailing work, from paint touchups to inside-and-out cleanings; your car will love you for it!